A woman from Scunthorpe in Humberside has hit out at a parking firm after being slapped with an “unfair fine" – for using a pencil that she thought was a pen. 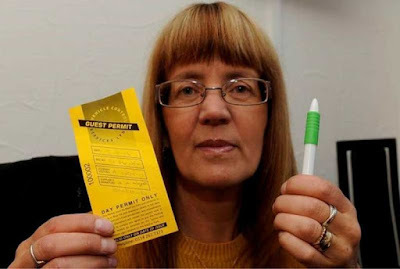 Liz Clarke, 55, was fined £60 for filling in a parking booklet with pencil instead of pen when visiting her 84-year-old mother at Sutton House flats in Scunthorpe, where there is limited parking. 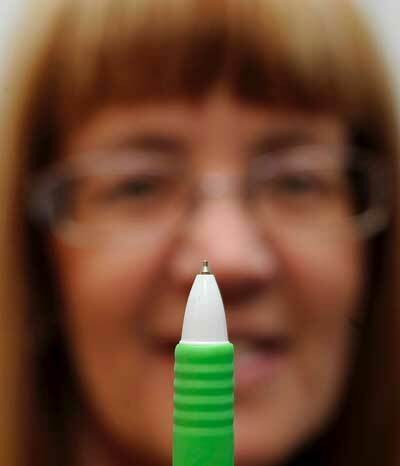 She said that she rushed over to her mother's home, who was in a “state" because of a flooding toilet, and grabbed what she thought was a pen, but it was in fact a plastic-covered multi-ink pen, which also had pencil lead inside. Vehicle Control polices the parking at the residential development for housing association Ongo. Drivers are supposed to fill out the booklets in pen so that they don't re-use them. She said: “They must realise it is a mistake. I think they could be lenient given the circumstances." Mrs Clarke had planned to appeal the fine but said she has reluctantly decided to pay, if the company disagreed with her appeal, she would have found out after her fine was due, and would have to pay £100. She said: “I was in a rush to get up to my 84-year-old mum because she was in a right state. “I have even told them that I used to be a special constable. I have appealed but if they say no, the fine will be £100. It was a nightmare day to be honest. I don't want the worry." She added that she contacted Ongo for advice, but was told there was nothing they could do. A spokesman for Ongo said: “I can confirm that in February 2016 we put out a tender and Vehicle Control Services were successful in being awarded the contract. This is something Ongo doesn't pay them for and the contract is for 2 years. When the parking permit scheme was introduced in 2009, customers living in the area were consulted with and in agreement that a permit system was needed. “A number of residents had been to Ongo staff and said that some people were abusing the permit system which was why we looked to tender out for a new company. All residents living in the area were made aware of the change in provider and our reasons why. I can also confirm that the lady did get in touch with someone in our Housing Management who did say that at Ongo we can't do anything about the fine – as the contract is with Vehicle Control Services to carry out this service on behalf of Ongo, and as stated on the permit – it is to their terms and conditions." Vehicle Control have not responded to requests for a comment.